Information for the local community and for visitors to the area. 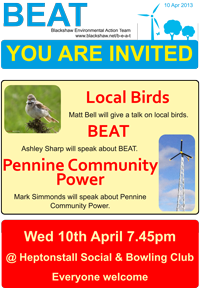 On Wednesday 10 April 2013 Matt Bell will give a talk on local birds, Ashley Sharp will speak about BEAT and Mark Simmonds about Pennine Community Power. 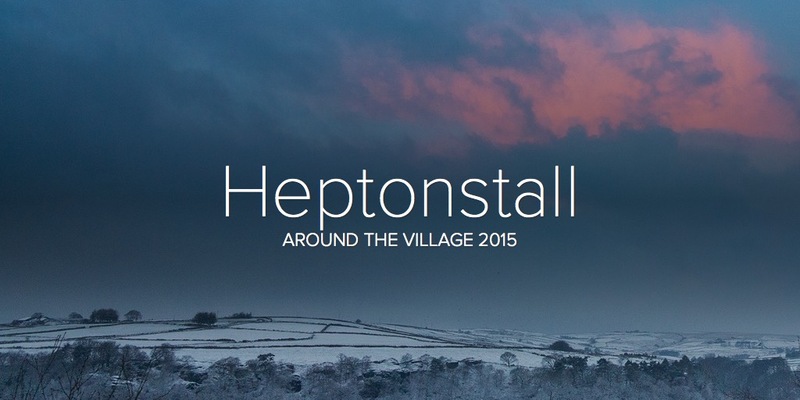 This meeting will be at 7.45pm in Heptonstall Social & Bowling Club. Everyone is welcome. The bar will be open!